Tomorrow, we are back to school - Preschool 4 this year! Amazing how fast pre-school is flying by me! I was talking to a friend on the phone today and it hit me ... This is her last year of Preschool! OMG! Where did the time go? 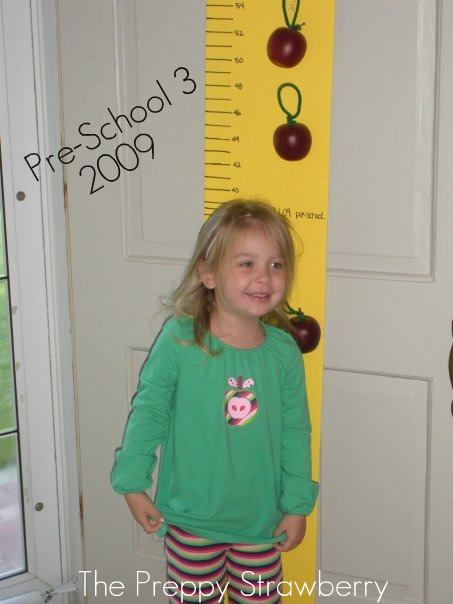 It feels like just yesterday, I enrolled her in daycare and those years flew right by and now she is in Preschool 4! So tomorrow, we start back on our schedule - yippee! I'm actually excited about the fall and being back on a schedule and tomorrow it all begins! I signed myself up for a 5:45 am spinning class! Yes, I said 5:45am - Nothing better than a good work out to kick start my day! I'm not sure how my body will feel tomorrow night but I'm sure I will survive ;) . By the time I get home it will be time to start breakfast and get ready for school! I've never taken a spinning class so wish me luck! Watching the OSU Buckeye games!